RBGrooveA2Hn-32 is end of life (EOL). 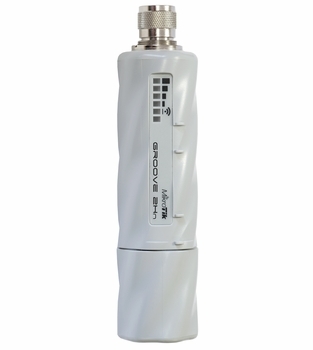 MikroTik recommends RBGrooveA-52HPn for functional replacement. 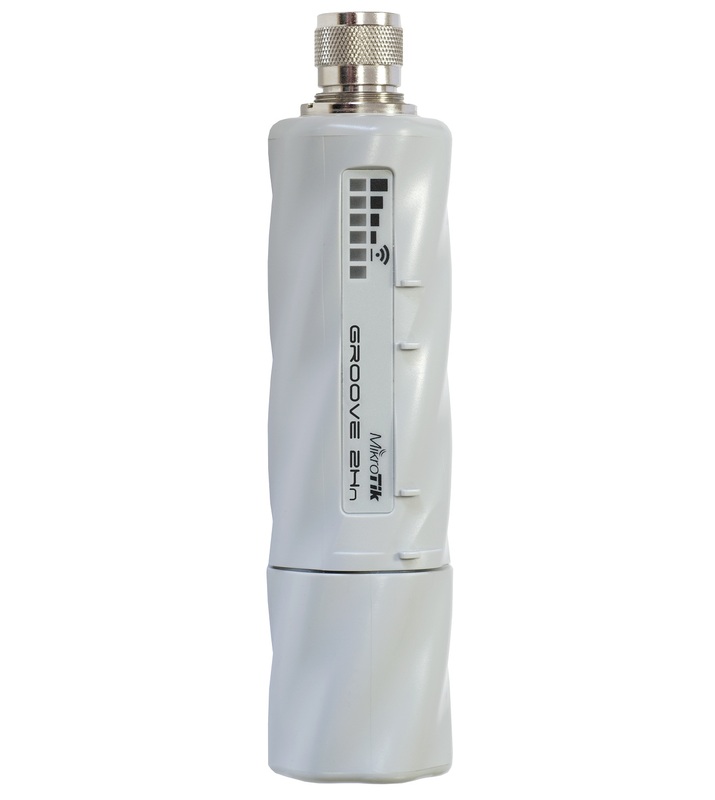 The GrooveA-2Hn-32 is MikroTik's smallest outdoor series model - a fully featured RouterBOARD powered by RouterOS. Weatherproof, durable and ready to use. It has one 10/100 Ethernet port with PoE support and a built-in 630mW 802.11b/g/n wireless radio. With the Nv2 TDMA technology, 125Mbit aggregate throughput is possible, limited only by the ethernet port!